I should reallyget out more. A few of years ago, I helped my fried Judith Lewis with some graphics for Dysprosium, the 66th National Science Fiction Convention, in London - also known as Eastercon. 2018 sees a new convention, returning to a similar theme entitled Ytterbium, which Judith asked me to work on once again with some graphics. I focused on Science Fiction and the element ytterbium as my inspiration, trying to provide enough elements for the convention graphics. Starting with the logo, I followed up with a photo-real illustration, using actual reference shots of ytterbium to create a fantasy planet. 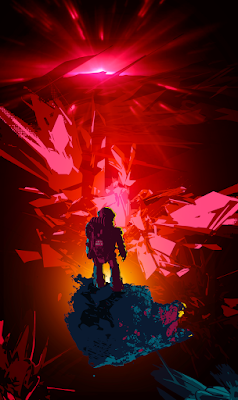 After this, I created a more illustrated style, with the focus astronaut floating on a chunk of ytterbium in some kind of nebulous crystalline void. 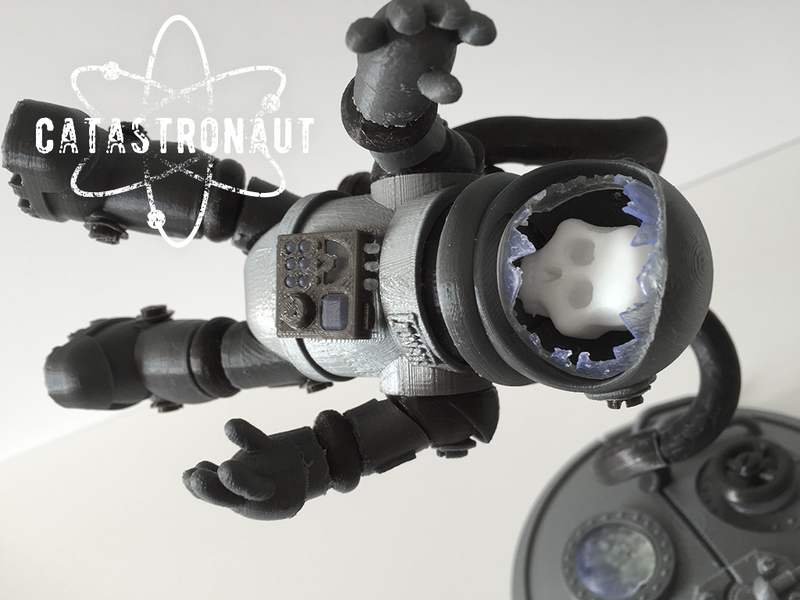 And note that, rather than illustrate an astronaut, I made use of my 3D printed Catastronaut model, who graciously posed for me and gave me exactly what I needed for the work. This wallpaper almost happened by accident. 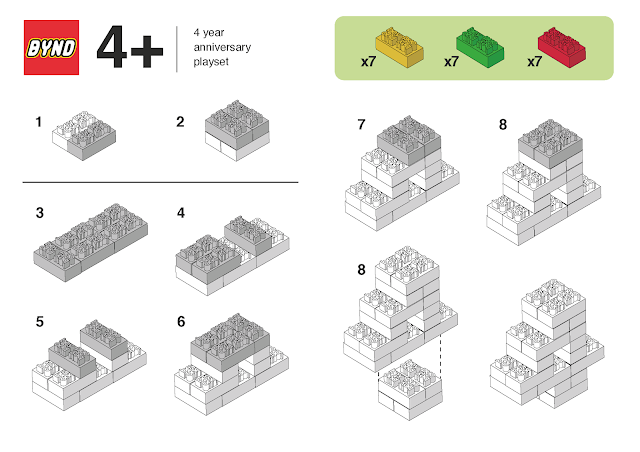 I was creating this graphic for another internal project, and in the end wasn't right for what we needed. But I thought it might make a cool wallpaper! Turns it it worked quite nicely - no 'beyond' related phrase this time, just straight up summertime: astronaut style! 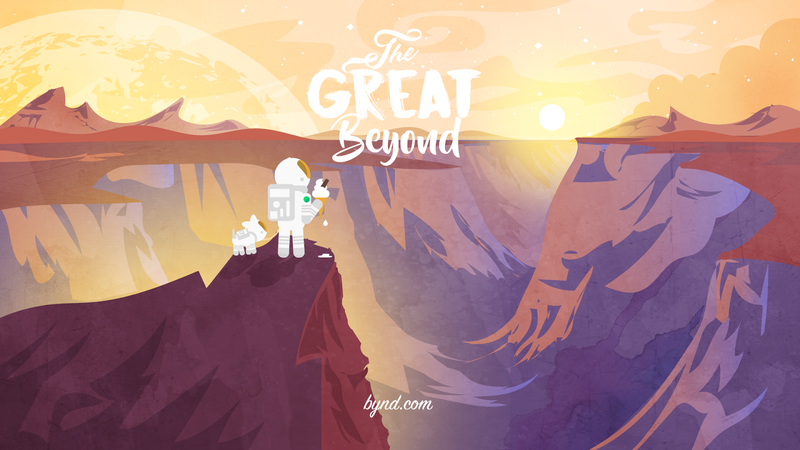 Here's another Beyond Wallpaper - this time focusing on the phrase 'The Great Beyond'. Once again we join our intrepid ice-cream eating spaceman and his cat, this time exploring a strange new world. 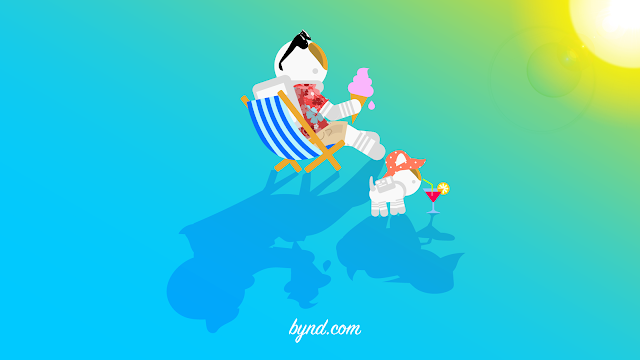 I wanted to capture some of the events, stories and characters that work in our London creative agency, Beyond - so I created a week's worth of five animated GIFS to try and do just that. Each explores a tiny snapshot of events and personalities (be they real or imagined) as I've seen them in my six years with Beyond. Hope you like them. I've certainly not made myself that popular here by doing them. Following on from an earlier illustration, I created this new wallpaper for Beyond. 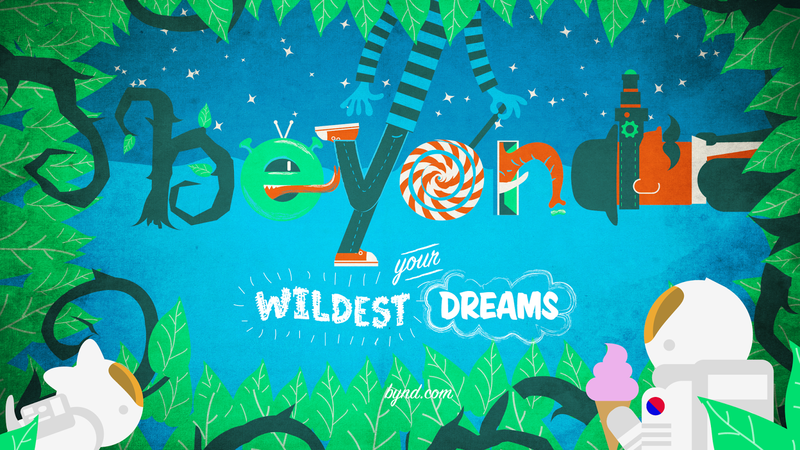 This time it centres around the phrase 'beyond your wildest dreams', so I created a weird, dreamy letter art design. I also used a minimal colour palette (which isn't as easy as it looks) and added a layer of texture. Potter more asked me to create a graphic to commemorate one of the most popular characters in the Harry Potter universe: Draco Malfoy. Growing up with Harry during their years at Hogwarts, Draco truly lives up to his family name by taking every opportunity to oppose Harry. But in the end? Well, you should know how he turns out! 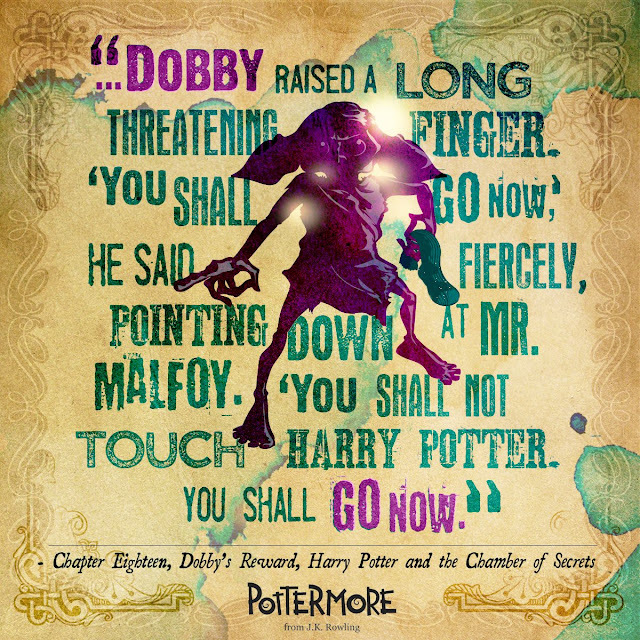 Another opportunity to create a graphic for Pottermore - this time honouring Dobby, the mistreated house elf of the Malfoy family. The quote comes from a defining moment where Dobby gets a chance to exact some payback on his cruel master. This is a project I decided to do, partly to celebrate Beyond's 4 year anniversary, but mainly to practice at 3D model making. 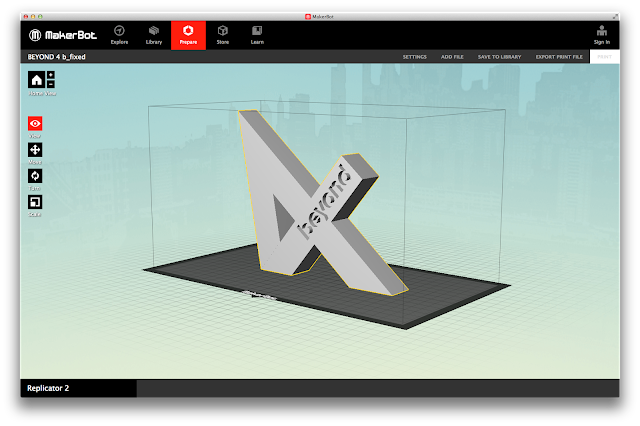 My idea was to create a 3D object that represented how the company had grown over their 4 years - My first thought was to create a 3D ornamental sculpture - but I wasn't happy with the results and it proved problematic to print out. So, I decided to go with a custom Lego set. The first step was to create the bricks - this was actually much harder than its sounds and it makes you realise how fine and consistent the tolerances are real Lego pieces! 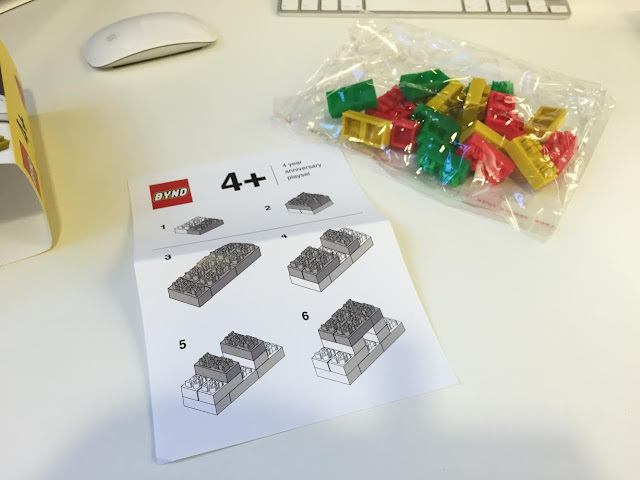 Building the model (in Google Sketchup) was relatively easy - the hard part was getting the sizes right to allow for the material when 'clicking' bricks together. Next, the many many many attempts to print them out. 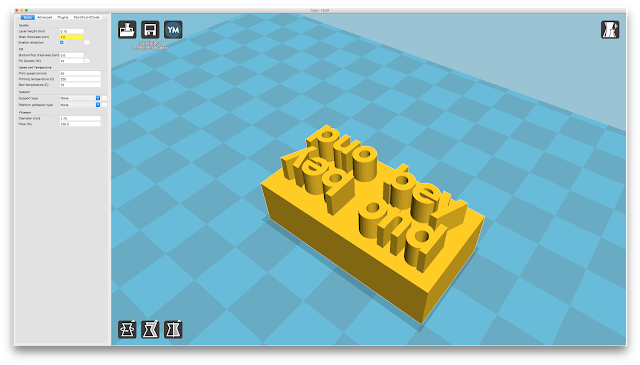 Each time I'd have to adjust the model, or try a different approach to the print settings, with supports, without etc etc. Eventually, though, it all came together, and I printed them out in a few colours. 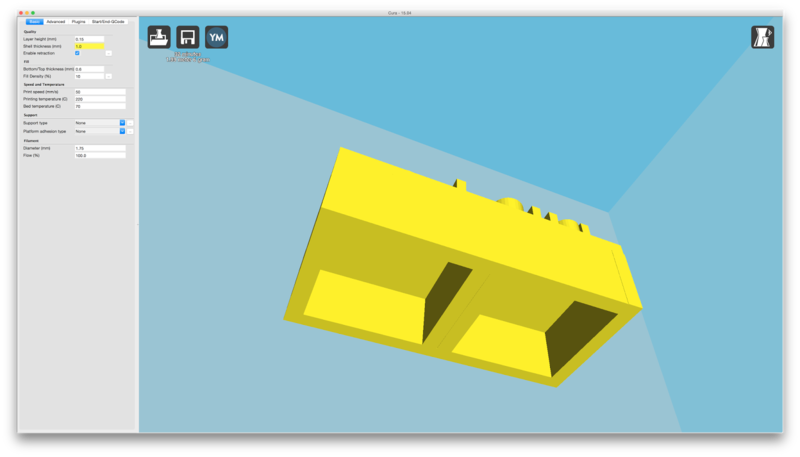 The interlocking worked well and the model could be printed at normal resolution without supports. Wanting this to be as close to the feel of a real Lego set as I could, I then went about creating the box and instructions graphics, created in Adobe Illustrator. With everything ready, I purchased some white lidded blank boxes, and had the slip-cover graphics printed at high res. And here is the finished results! 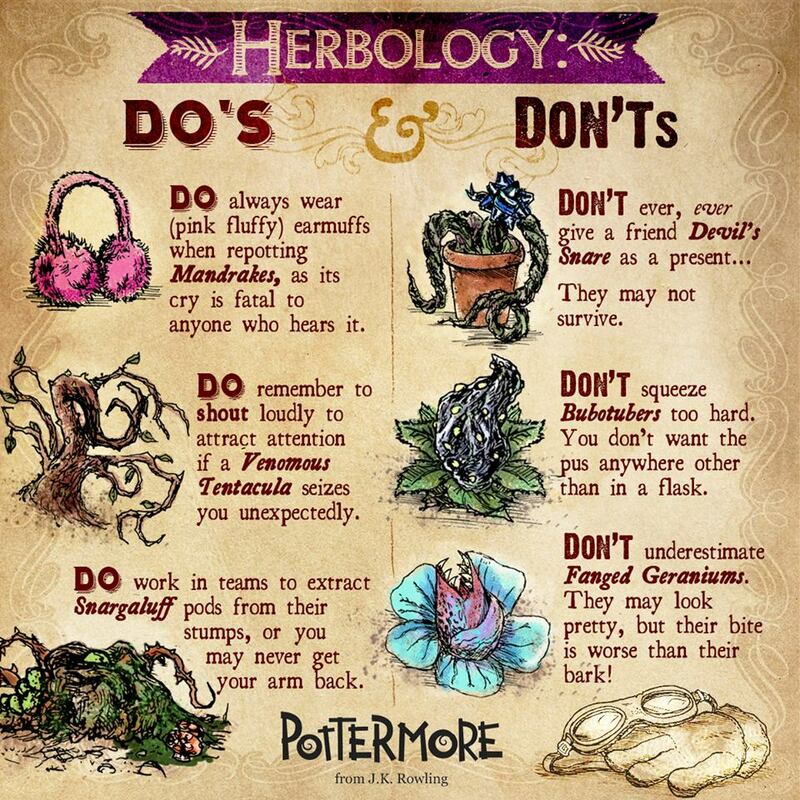 More work for Pottermore.com - this time a celebration of the birthday of Professor Sprout, the Herbology Master. 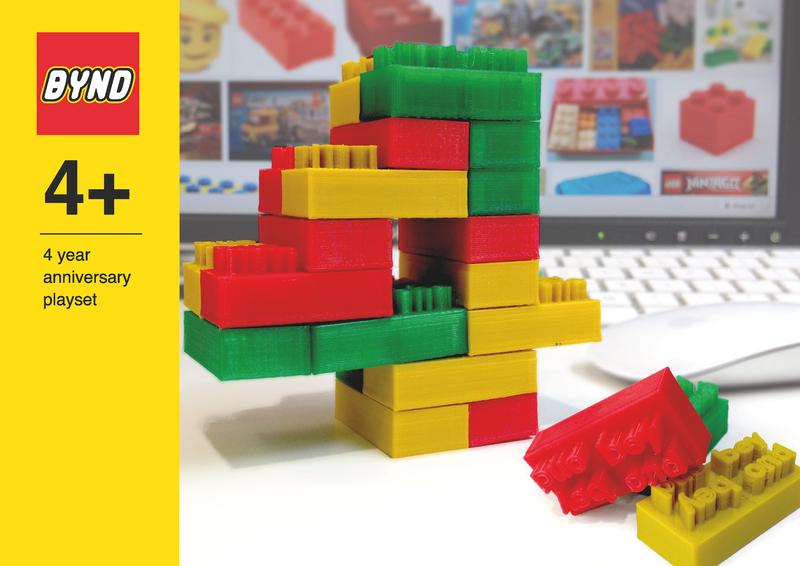 This one was aimed more at social media specifically, so we designed it in a square. Love doing this one with more hand-drawn graphics - I wanted to give it an impression of being more like a text book entry. 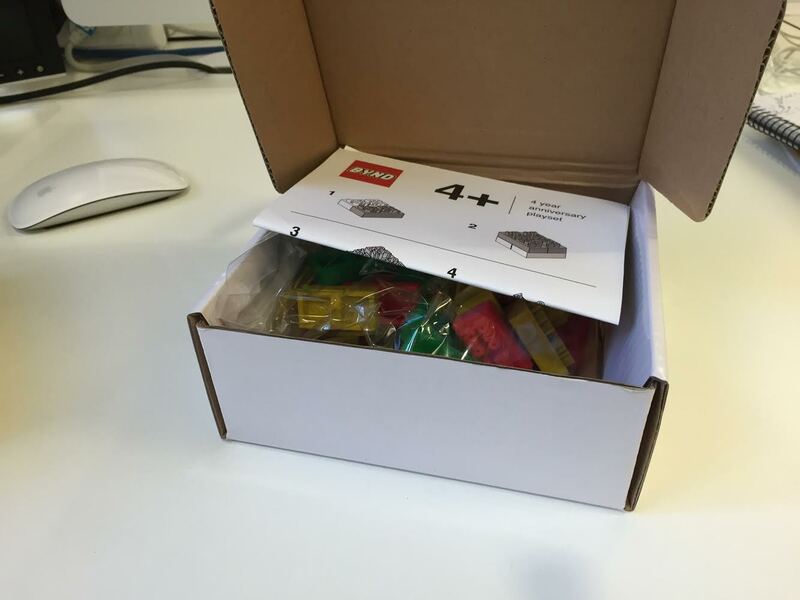 Great fun to do! 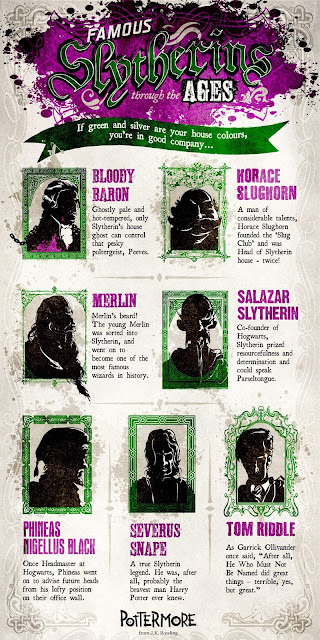 Another great opportunity to provide some work for Pottermore.com - this time showing some of the most famous Slytherins through the ages. Never knew Merlin was in Slytherin! 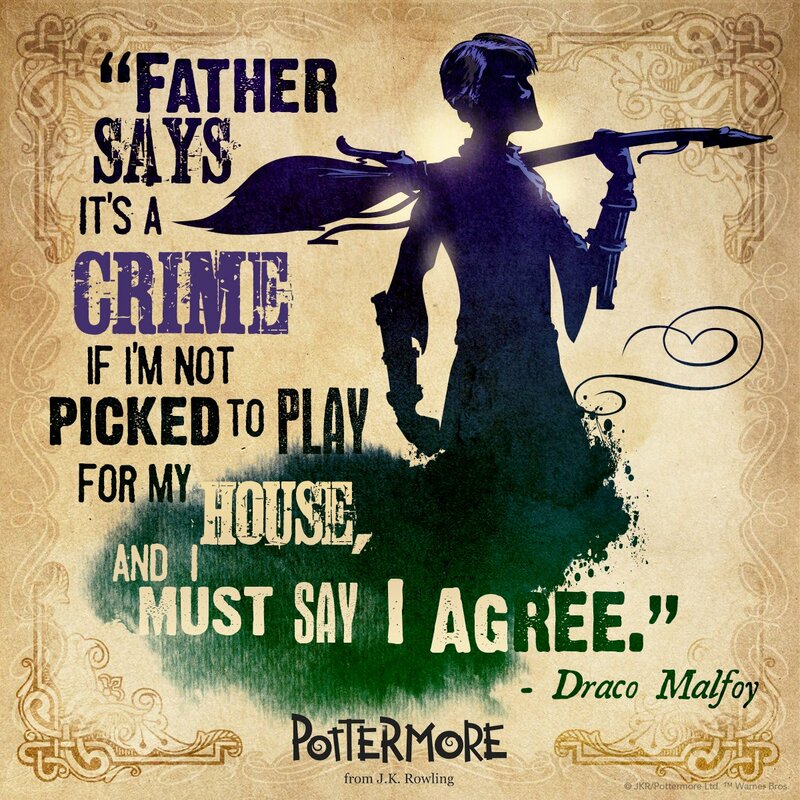 This was used as part of Pottermore's House Cup, where fans vote & compete to get their favourite house the most points. The winner receives a prize - this time, my infographic! 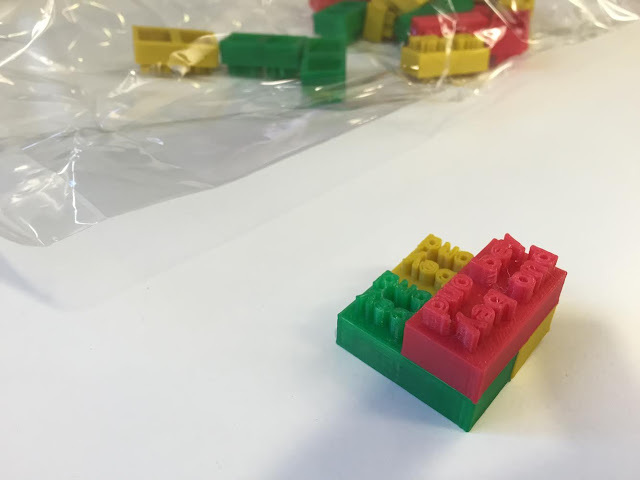 This is my very first real attempt at creating a complete 3D model and then producing it as a printable kit, complete with moving parts and the ability to print in multiple colours. It's been a steep learning curve, from learning to create 3D models, to buying a printer and learning what works and what doesn't - but finally here's the results. 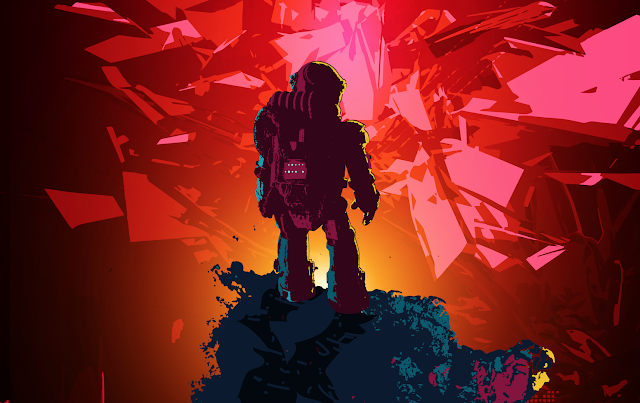 I'll be creating a video shortly outlining more details and how it came to be - but for now, here's some more images. This is the second of my official Harry Potter infographics, commissioned by Pottermore.com - the Harry Potter social / gaming / news site, originally set up by J K Rowling as a home to expanded development of her works. 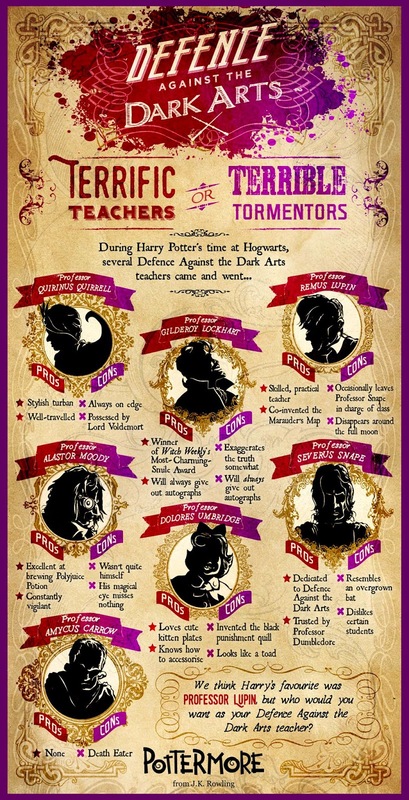 This work focuses on Defence Against the Dark Arts, asking which of the cannon's Professors you would want to be taught by yourself. This piece required more illustration, as it was calling out for 'portraits' of each of the characters. And it needed a darker feel (due to the subject matter) than the Cybil Trelawney infographic - so I went with a darker parchment and mixing some red into the colour palette.